This was a mistake. Sole is a trendy, LA-ish hotel that has two locations in Montauk. I stayed overnight at the Beach location, it was fine. But the East location has a swimming pool and DJs playing lounge music. 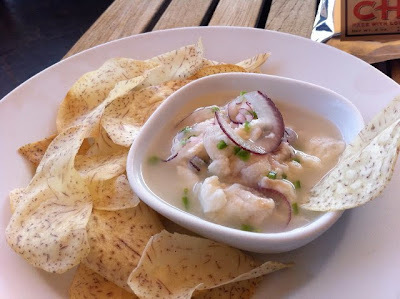 The fluke ceviche at the The Backyard Restaurant was more like fluke soup.